The Blue Coats (6-11) have been in Las Vegas since Sunday. On Thursday night, the club took the court at the 2018 MGM Resorts NBA G League Winter Showcase for the first time, falling 127-100 to the Stockton Kings. In his third start of the season, Cameron Oliver recorded his fifth double-double, posting 23 points (8-12 fg, 1-4 3fg, 6-9 ft) and 12 rebounds in 28 minutes. Jonah Bolden, on assignment from the Philadelphia 76ers, added 15 points, 15 rebounds and 6 assists in 33 minutes. Bolden was recalled by the 76ers on Friday. The G League Showcase is the league’s premier in-season scouting event, featuring all 27 G League teams, with each team playing two regular season games. With the event being held in December for the first time ever, it gives NBA team personnel the opportunity to evaluate two-way and NBA G League talent in advance of the 10-day signing period and two-way guarantee deadline. On Saturday night, the Blue Coats take on the Salt Lake City Stars (9-9) in the second and final game of the showcase for both clubs. 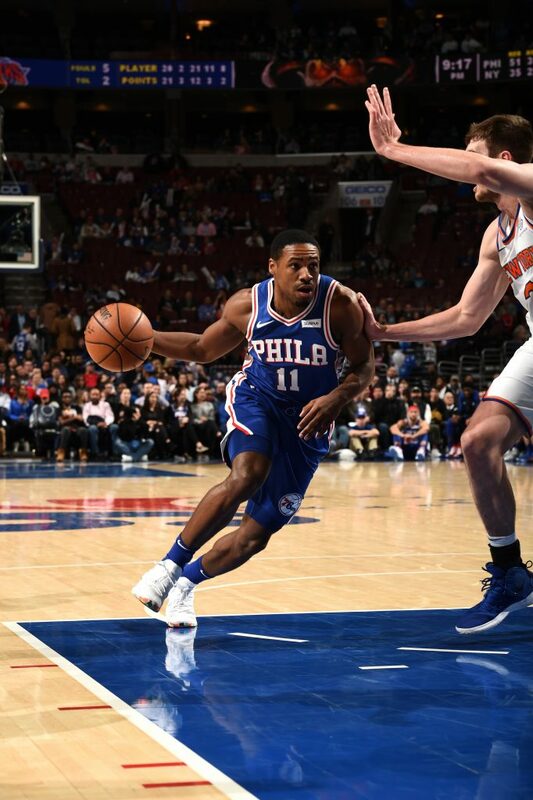 Upon rejoining the 76ers after a Blue Coats’ road game in Texas last Saturday, two-way player Demetrius Jackson saw action in the 76ers’ 131-109 victory over the New York Knicks on Wednesday night in Philadelphia. Jackson, who scored his second NBA basket of the season in Wednesday’s fourth quarter, has participated in the G League Showcase twice in his career. His advice for his Blue Coats teammates is to keep it simple. Salt Lake City won its first game of the showcase, 111-101, on Thursday night against the Fort Wayne Mad Ants. The Stars’ current roster includes Utah Jazz assignee Grayson Allen as well as the first overall selection in the 2018 NBA G League Draft, Willie Reed. Allen is averaging 16.6 points per game in five games played with the Stars this season.